Remember when I said that I felt more comfortable watching Hugh Jackman sing and dance morosely, Broadway-style, than play a character like Wolverine again? Well, I still mean that. 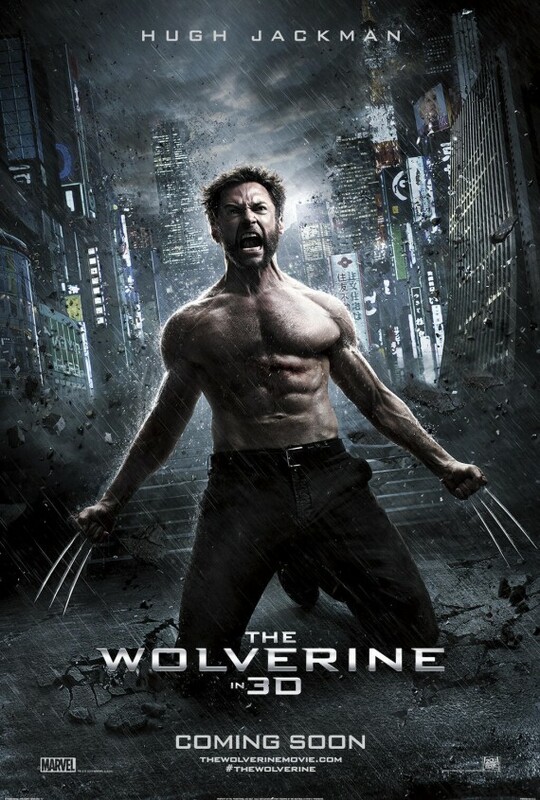 But, in the new trailer for THE WOLVERINE, the latest venture for the comic book character that reportedly takes place after X-Men 3, it looks like the actor somehow took the vulnerability and rugged heroism from his Jean Valjean performance in last year's Les Misérables and applied it to the grizzly, down-on-his-luck antihero. Or, at least that's what I'm telling myself. Seriously, it looks like this movie is actually about something. There seems to be a beginning, middle and ending to the character's journey, at least based on the trailer. And, since Jackman is the only major star of the movie (unless you count Famke Janssen), this could really show off his acting chops in a whole new way. I hope. Yeah, I can get down with this. The only aspect that is a bit of concern for me is sreenwriter Mark Bomback, whose memorable credits include Live Free or Die Hard and last year's Total Recall. If you remember, those two films weren't anything to write home about. But Girl, Interrupted and 3:10 to Yuma director James Mangold is at the helm, which could make everything better. What say you? THE WOLVERINE hits theaters July 26th. That's classic, Jean Valjean is exactly what I thought of when I first saw the the trailer. James Mangold gives me a lot more hope than I'd usually have considering the last film. This trailer has a great feel to it especially that it takes place in Tokyo. The domestic trailer shows less and has a different feel to it. Both are good!